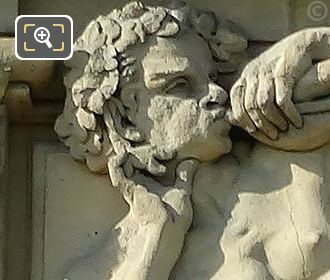 We took these high definition photos showing a bas relief located on the Aile de Flore of the Musee du Louvre in the 1st Arrondissement of Paris, which was sculpted by Nicolas Victor Vilain. 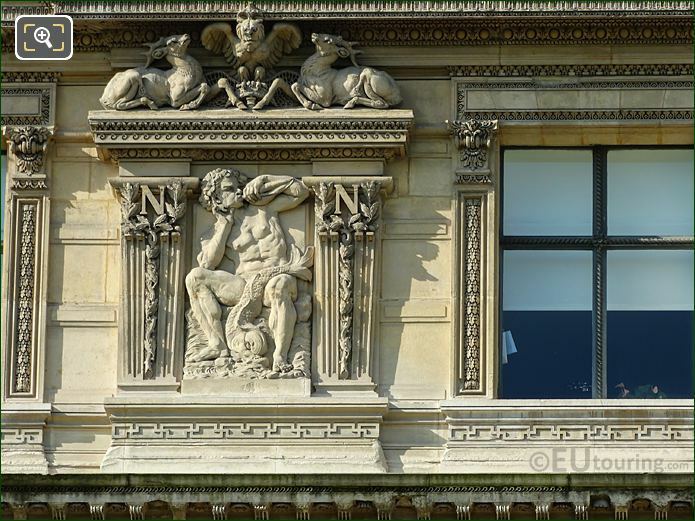 This first HD photo shows a sculpture referred to in art as bas relief, or low relief in English, and although we have been unable to ascertain a name for this, you can discover it on the wing of The Louvre called the Aile de Flore. 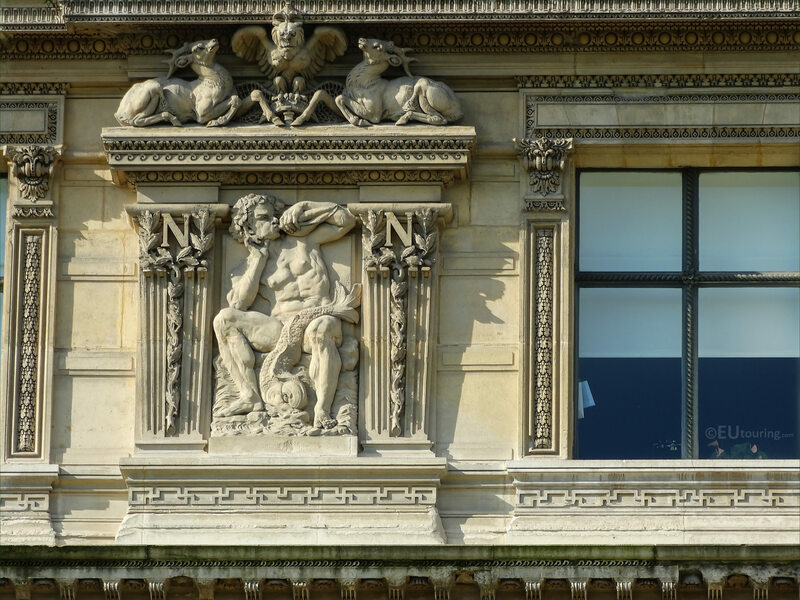 And when you are standing in the courtyard called the Cour du Carrousel, you will see that this is positioned on the third level to the left hand side of the sixth window if you are counting from the left and was put in place in the mid 1860s. This particular bas relief was produced by Nicolas Victor Vilain who was born in Paris in 1818 and entered the Ecole des Beaux Arts under the direction of James Pradier to become a French sculptor, winning the Prix de Rome in 1838, which meant he could further his studies and career by attending the French Academy in Rome at the Villa Medicis. 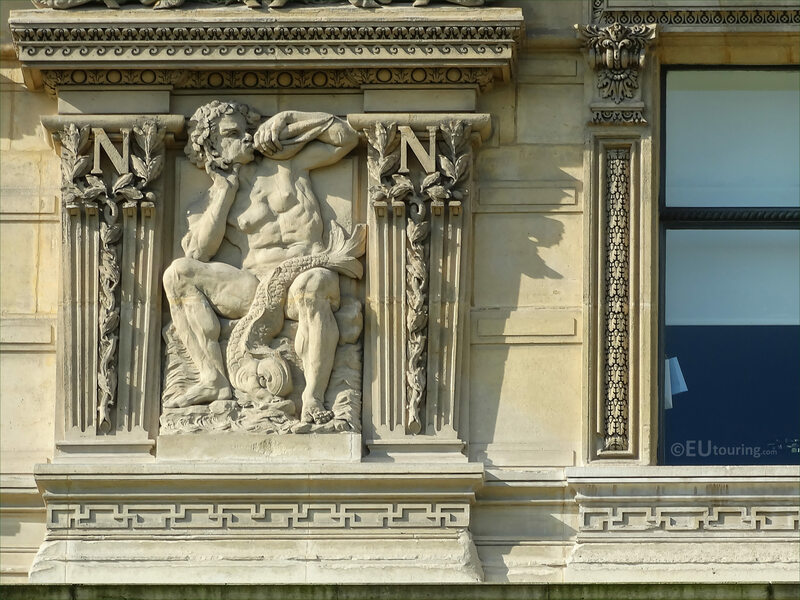 Nicolas Victor Vilain received numerous commissions from the State including no less than nine for the former Palais du Louvre during its restoration, along with others that can be found at tourist attractions like the Tour Saint Jacques, Eglise Saint Roch, Jardin du Luxembourg, Chateau de Versailles, Pont des Invalides, etc, also being awarded the Legion of Honour during his prolific career.